Summary: Providence, Rhode Island, 2017. When doctoral student Cameron Coelho, 28, opens a package from Indiana, he finds more than private papers that will help him with his dissertation. He finds a photograph of a beautiful society editor murdered in 1925 and clues to a century-old mystery. Within days, he meets Geoffrey Bell, the “time-travel professor,” and begins an unlikely journey through the Roaring Twenties. 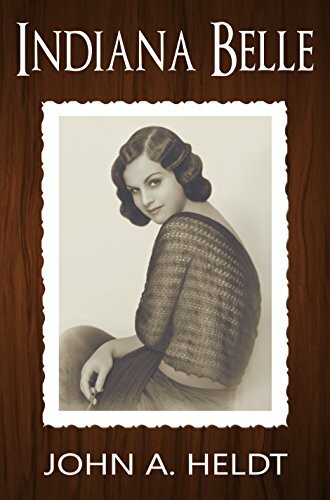 Filled with history, romance, and intrigue, INDIANA BELLE follows a lonely soul on the adventure of a lifetime as he searches for love and answers in the age of Prohibition, flappers, and jazz. Review: This is the third book in John Heldt’s American Journey series. I haven’t read the other two but was pleased to find that I didn’t need too. Indiana Belle is a standalone, which takes you back in time to the 1920s. I read each word, amazed at how vivid, imaginative and truthful the scenes were. Heldt obviously did his research in this time period–or did he actually discover a way to go back in time himself? Cameron Coelho was a very interesting, refreshing character. I liked how he was determined to get answers one way or another, despite being your typical boy next door. The other characters held their own just as well. The story starts out slow, but it’s to be expected, and after Cameron meets the professor who will ultimately send him back into the 1920s, it picks up and holds your attention. Once I got into reading, I found it extremely difficult to put down. Heldt’s writing style is clear-cut and tight. He’s definitely a naturally born storyteller. Indiana Belle is a story of romance, mystery, and history. This masterpiece of a time traveling story comes highly recommended. I look forward to reading more of Heldt’s novels.